Finding the right pair of wireless headphones that give you noise-canceling features with excellent sound quality can be difficult. Especially in an era where technology evolves every single day and we come across new innovations, finding the right product is not easy. The tech items that you probably grew up using don’t even exist anymore because plenty of upgrades were presented. Honestly, if you compare them with what exists currently in the market you would be mesmerized by the latest technologies. Headphones are one of the biggest examples that we can use today. We can all remember the traditional wired, big and chunky headphones that we tried rocking throughout our senior year. However the headphone game has totally changed now, we see wireless, Bluetooth, noise-canceling headphones that come in various styles including on-ear, over-ear and in-ear specifically manufactured for travel and sports/running. As technological advancements continued to drop out, the wireless and Bluetooth headphones became a necessity. This is the new era of wireless technology where all the big guns of the industry are taking the leap and promoting it. Newer headphones have better Hi-Res audio with improved batteries that normally can be used up to several days without charging. Even the new phones such as Pixel 2 and iPhone X are going wireless without a headphone jack. However, when you are out headphone shopping, you often get confused and are unable to pick the right one for you. We have compiled a complete list of top wireless headphones that are available in the market. 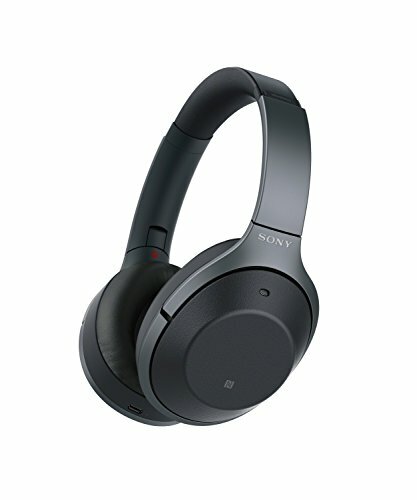 Sony WH-100XM2 is considered to be one of the best wireless over-ear headphones with noise-canceling and Bluetooth available in the market. These are often compared to Bose products however, users continuously say that the sound quality is better on these. Sony WH-100XM2 headset isn’t something new on the market but it is an amazing rendition of an already existing model. The noise-cancellation technology and the sound quality overshadows the fact that it is almost as expensive as Bose QC35s. however, the features are given in this model and its performance wins over everything else. For starters, Sony WH-100XM2 packs a closed acoustic design with NFC and a Bluetooth range of up to 30 feet. The frequency response stays between 4Hz and 40kHz and its total weight is 275 grams which isn’t much in our opinion. Dynamic drivers of 40mm are fitted into these headphones and they have a sensitivity of 103dB. Although most headphones have a good battery life Sony WH-100XM2 manages to work for 20 hours without recharging. Hinges of this specific model are also very fragile so you need to be extra careful with your usage. Most of us don’t really bother about the usage however if you are using this particular headphone then you need to be careful. Sony WH-100XM2 has some amazing options that only a few headphones are currently offering. The noise-cancellation on these are spot on however besides that it offers three different modes. It isn’t common that we witness headphones coming out with features that don’t exist already. Sony WH-100XM2 takes pride in the three modes that they have introduced. First one, the ambient noise mode, allows the mid to high frequencies in. For instance, if you are at an airport catching flights, it will allow the loudspeaker announcement in. So, you can enjoy your music alongside important announcements. We believe that Sony truly up their game with this newer rendition. The features, overall design and amazing sound system definitely deserve to win the number one spot on this list. The price is quite up there however it is a premium headphone that is excellent for travel. Overall it is a great choice when it comes to finding an array of features in the same equipment. The second one is the quick attention mode, this one is quite interesting as it allows the outside noise in without you taking off the headpiece again and again. This can be an excellent feature while traveling as you can make a quick conversation with your headphones on. LDAC codec is the last one, you can play hi-res audio with 1000XM2. We all know where Bose as a wireless headphone manufacturer stands in the market. Bose won over with their QC35. With Bose QuietComfort 35 II on-ear headphone, you can expect the same quality, sets of features along with the newly updated Google Assistant. Bose QuietComfort 35 II is amazing when it comes to noise-canceling headphones. It has the leading technology of noise-canceling installed in it on top of a clear and broader soundstage. We are all familiar with the top-notch quality that Bose provides to its customers. As the name suggests, Bose QuietComfort 35 II is for those who look for comfort in their headphones. If you want to indulge in a comforting on-ear headphone that doesn’t make your ear red and scream, then this is it. QuietComfort 35 II has a closed acoustic design and weights around 0.68 pounds. The battery on this one is better than Sony, it can continue to play over 20 hours which is amazing. We truly believe that the Google Assistant is what sets QC35 II from the original QC35. Bose QuietComfort 35 II doesn’t give a trendy appeal, its design and overall appearance are boring. It doesn’t look like a trendy $330 headphone. QC35 II has a plain design and made out of plastic. Furthermore, it doesn’t have the auto play/pause or mute option. Several headphones came with this model, however, none of them had the Google Assistant integrated into them. Google Assistant is a game changer, with this on board, you no longer have to say ‘okay Google’. You can simply press and hold the button and interact. Furthermore, the Google Assistant allows you to listen to all your notifications without reaching for your phone. The app used connecting QC35 II and the mobile is easy to use however connectivity issues on Android are something that you should know about. The app will, every once in a while, refuse to recognize the headphone. Besides that, it will work just fine. Bose QuietComfort 35 II is considered as one of the most premium wireless headphones that have top of the line noise-cancellation technology. We believe that Bose QuietComfort 35 II is a solid headphone, however, the Google Assistant isn’t something that you cannot live without. The Google Assistant comes at the expense of important features which are actually useful. It is highly recommended for travels and commuting. If you think that the price is too high then you can also settle for the original Bose QuietComfort 35. The only difference between the two is that QC35 II has Google Assistant. Finding a good Bluetooth, sports/running, in-ear and wireless headphone could have been difficult a few years back however it isn’t anymore. Bose SoundSport Wireless is probably the best sports/running Bluetooth headphone available on the market. You may ask, how is Bose SoundSport Wireless the best, right? We will give you a simple answer. The sound quality is pretty decent compared to other sports/running headphones. Secondly, it’s super comfortable and its price is just right. You don’t have to pay an outrageous amount to get your hands on this headphone. Like we mentioned, Bose SoundSport wireless is a Bluetooth, sports/running an on-ear headphone that has an amazing sound quality and it is sweat/water resistant. The winged tips allow the headphones to fit seamlessly into your ear without falling off again and again. Bose SoundSport wireless can be used as an accessory for making and receiving calls and it does a nice job. It also detects the activity of headphone and automatically turns off to save battery. Since the headphones are bulky, you can see them from even a distance however they don’t feel as heavy as they look. Maximum hours that Bose SoundSport wireless goes without charging is 6 hours so it doesn’t have a good battery time. This is something that you need to be considerate about. Bose SoundSport wireless is designed in a way that it doesn’t block off your ear canal completely. If you wear helmets often then you might find it difficult to wear these under certain types because of its bulky design. If there’s something that can be used as a criticism for this headphone, it is the design. If only it were a little discrete-looking, users would enjoy the quality and product more. When you compare Bose SoundSport wireless with other sports/running Bluetooth headphones, you will notice that those allow you to change the length of the cord. Cord length on this headphone remains constant however Bose provides you with a clip that you can use for hooking the headphone with your clothes. On the contrary, the loose fit allows the outside sound in which isn’t something that many users enjoy. However, if you look at the brighter side, if you are cycling or running in a traffic area you’d be able to hear car horns or other warnings. It has an open design and they mesh well into your ears giving you control over the outside noise. Often referred to as ‘noise-isolating’, these on-ear headphones have Bose’s StayHear+ ear tips that come in multiple sizes for different ears. It is the best Bluetooth, sports/running, on-ear headphone that you can find in the market at this price. The major change that V-Moda Crossfade 2 Wireless over-ear headphone came out with was the ultra-comfortable design that feels like a cushion on your ear. The earpads that come with this model are more comfortable as compared to the ones that came in its predecessor. Honestly, people couldn’t get over the fact why V-Moda Crossfade 2 Wireless was even introduced in the first place. The reason this change was customer demand, customers all over the world were requesting V-Moda to come up with a design that boasts a larger earpad. The newer ones aren’t XL but they are somewhat of a medium/large size. V-Moda Crossfade 2 Wireless has a beautiful sturdy design that delivers quality sound with improved battery life as compared to the previous version. The detailing is more accurate with sculpted bass. Larger earpads change your wearing experience into a more comfortable one. V-Moda Crossfade 2 Wireless is designed in a way they close and fold in a position that fits into an air-ventilated protective casing. If we talk about the negatives of V-Moda Crossfade 2 Wireless, the only thing that we might have a problem with is the price and its weight. They’re a little on the heavier side and costs more than $300. Other major changes are in the product’s technology. The sound is the best that you can get out there in this price range. 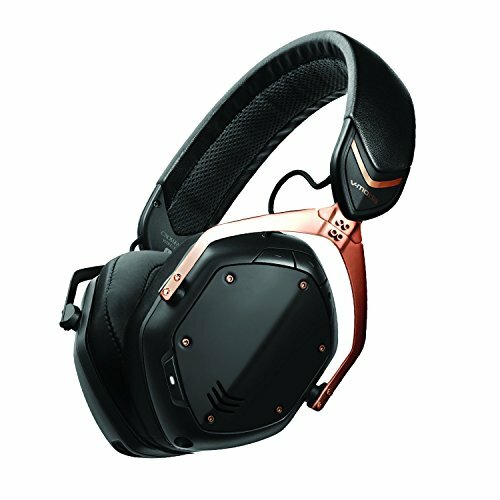 V-Moda Crossfade 2 Wireless can easily work up to 14 hours, which is more than the predecessor. Just like the previous version, it feels sturdy and it is made from steel flex, bendable band. The game changer that attracted many DJs, who cannot get enough of V-Moda, was the air-vent inside the case. Most of you might not bother but DJs apparently sweat a lot and their headphones get wet. The vent doesn’t let the headphone stink and allows it to dry out easily. If you are using a supporting Bluetooth device you will notice that the sound quality is amazing. It has clearer and detailed frequencies with better bass quality as compared to the previous model. For some people, V-Moda has an excessive amount of bass that they don’t enjoy. The bass in Crossfade 2 Wireless is more sculpted than before so all types of people could enjoy it. Although Crossfade 2 has a closed acoustic design, it is relatively open with balanced sound quality. Overall, V-Moda Crossfade 2 Wireless is a winner because of its next-generation features and technology. The larger earpads, cushions, better drivers and frequency response is what wins us over. On top of these features, we are glad that the battery time is amazing and you don’t have to worry about it dying in the middle. Best headphones with noise-cancellation usually come from Bose as it is considered as top of the line headphone manufacturing brand out there. However, Sony is currently giving Bose a tough time. They are coming out with models such as MDR-1000x which blocks all ambient noises, including the airplane engines. Sony MDR-1000x is the most technologically advanced wireless, over-ear Bluetooth headphone that Sony has come out with yet. In the constant efforts becoming the top noise-canceling headphones in the market, Sony presented us with a gem. This is why we believe that market competition is always beneficial for the consumer. Sony MDR-1000x sounds amazing, feels comfortable and it is quite effective when it comes to outside noise-cancellation. Geared towards travelers, this beauty has some top-notch features up its sleeve with excellent battery timing. It can easily give Bose a run for its money because of its quality. As per Sony, the responsiveness of Sony MDR-1000x has improved. Now you can easily control the sound, skip tracks and play/pause them quicker than ever. It also has new ear pads that feel comfortable. If you look at MDR-1000x as a headset, it might not impress you much and the noise-canceling sometimes become too obvious. So if you are a heavy traveler then these could be your escape headphones. Sony MDR-1000x cancel out all the outside noise and gives you clarity. Another cool feature that MDR-1000x comes with is the different options for noise-canceling. As we said, it is custom made for travels, so you can adjust it and allow certain frequencies to seep in. For instance, noise-canceling headphones can often block out important announcements. However, with MDR-1000x, you can change the settings and allow high frequencies of sounds to seep in. The feature that we enjoy the most is the music muffling ability. Let’s say you are listening to music someone decides to say something, you can simply put your hand over the right ear cup. The music will instantly stop allowing you to listen to the person who is talking and once you remove your hand the music starts playing again. The set comes with a cord that you can attach to the headphones if you want to experience a wired audio quality. MDR-1000x can play up to 20 hours but that really doesn’t matter as you can still use the headphone with a wire even if the battery dies. According to Sony, MDR-1000x is the first ever headphone to ever have DSEE HXTM (Digital Sound Enhancement Engine) built inside. The music streaming quality is better than other headphones because of the LDAC format. Sony MDR-1000x has some minor drawbacks that you can ignore. If you can get past them then it is an amazing noise-canceling wireless headphone with uncountable features and excellent sound quality. Beats, as one of the leading headphone manufacturers, believe that they shouldn’t change the technology often if they have something sailing smoothly. The Beats Studio3 Wireless is one of the leading noise-canceling headphones available in the market that people actually prefer buying. Besides the fact that Beats has changed the colors of their flagship headphones, everything from the last four years has been identical. When Beats Studio3 Wireless dropped down, we all had the same reaction. Did they really come out with the exact same design as the 2014 version? Yes, they did, however, they made some changes on the inside that make difference on a whole new level. The same old sturdy design comes with an improved technology that offers better sound quality, enhanced noise-canceling and increased battery timing. Pairing Beats with any Apple device is easy and simple because of the W1 chip. 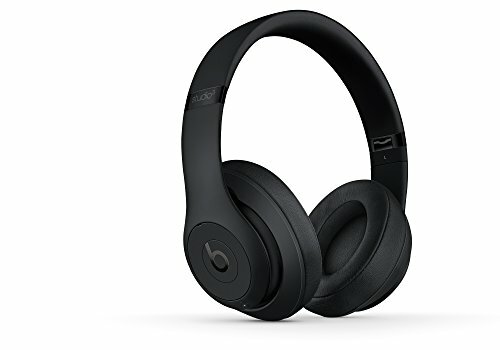 Sound quality on Beats Studio3 Wireless headphone can stand up against the most expensive headphones in the market and it can be used as a headset as well. We can all guess the negatives of this headphone, it is the design. Beats has been rocking the same old sturdy design for four years now and honestly, people crave for a change. It doesn’t fold so you cannot carry it in a smaller casing. The special pairing that Beats offers with their W1 chip can only be found on Apple devices. Although Beats can be paired with other devices however the results aren’t as amazing as with Apple products. 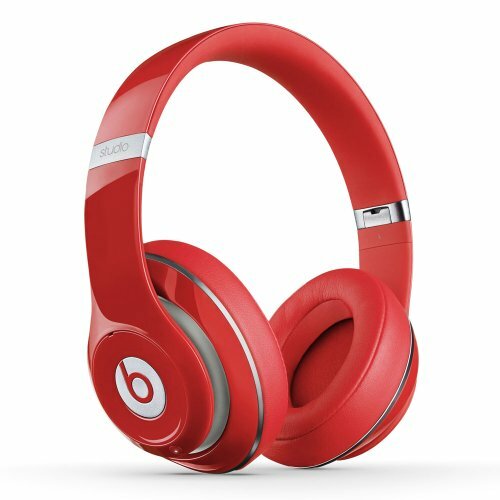 Over the years, Beats has proven to be as one of the leading most competitive wireless noise-canceling headphones. According to Beats, the company has changed everything starting from the drivers to the circuits. Studio3 Wireless is a reimagined Beats headphone that stands up against all other products. With the help of W1 chip, connectivity and performance have increased. It also leads to a better battery time which is up to 22 hours. If you are someone who cares more about the battery timing and not noise-control then you can simply turn it off and see the stats reaching new levels. With disabled noise-canceling, you can increase the battery time to up to 40 hours. Furthermore, if you get the chance of charging the headphones for even ten minutes, the playback time increases by at least three hours all thanks to the Beats Fast Fuel feature. The overall sound is clearer on the Studio3 Wireless as compared to the previous versions. The bass is more sculpted and well balanced. The overall sound quality has improved so we think it is a winner for us. Bowers and Wilkins is a high-end wireless headphone brand that has come out with different products in the past. Bowers and Wilkins have come out with a new PX over-ear headphone that boasts both Bluetooth connectivity as well as noise-canceling features. In fact, it is their first every noise-canceling headphone. PX is currently the direct competitor of Sony WH-1000XM2 and Bose QuietComfort 35 II because of these two features and sound quality. There are multiple reasons that put PX in the same category as Sony and Bose. Coming out with a product with existing features in the market is a bold move and Bower & Wilkins didn’t hesitate. The overall built of PX is quite sturdy and impressive. The sound quality on this one is also notable, considering that it is the company’s first ever noise-canceling headphone they have done a pretty good job. With the nearly flawless wireless operations, PX also happens to have a good battery time. The competing manufacturers, Beats, Bose and Sony have better headphones at a better price. Headphones from these leading companies are more comfortable and do a better job at noise-canceling. You cannot replace the battery yourself. We understand that it isn’t quite as good as some of its competitors but other things allow it to stay in the same category. One of the things that we believe sets it apart from other products is the design. It comes in two variations, soft gold, and space gray. They both have a sophisticated and sleek appearance with nylon ballistics and metal parts. It looks super sturdy and something that won’t break apart easily. 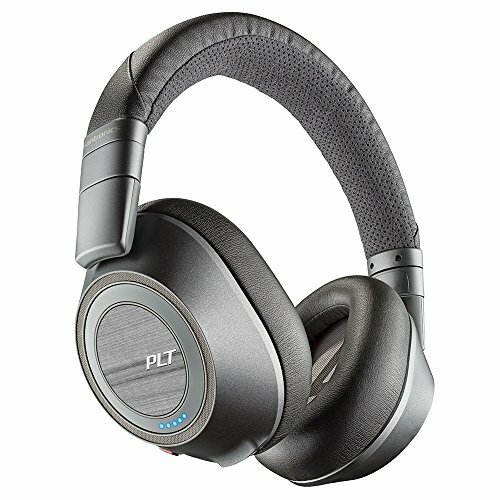 PX is quite comfortable when you wear it because it is equipped with memory foam and elliptical ear cushions. It weighs around 336 grams which is more as compared to Sony and Bose. As you continue to wear it, you get a tire because of the weight. 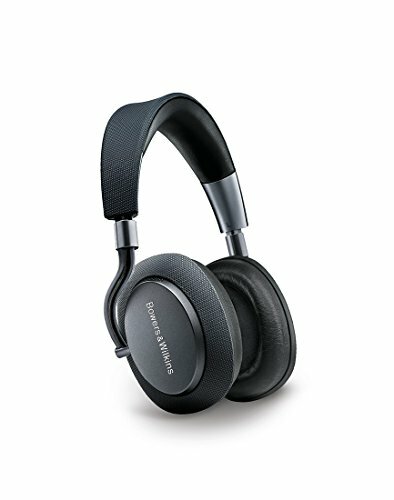 Bowers & Wilkins PX wireless, Bluetooth, and noise-canceling headphone are competing against some of the leading headphones in the market. Although these competitors have better models at a relatively cheaper price, PX still holds its position. Since it was the company’s first ever noise-canceling headphone, we believe that they will improve their quality with one or two renditions. We would suggest that you sit down on this one and wait for a newer model to come out before purchasing a noise-canceling headphone from Bowers & Wilkins. Looking for wireless headphones, everyone wants to go to the crème de la crème. The noise-canceling, Bluetooth, wireless headphones are what everyone wants. While the best headphones are from Sennheiser, Sony, and Bose but not everyone can afford it. 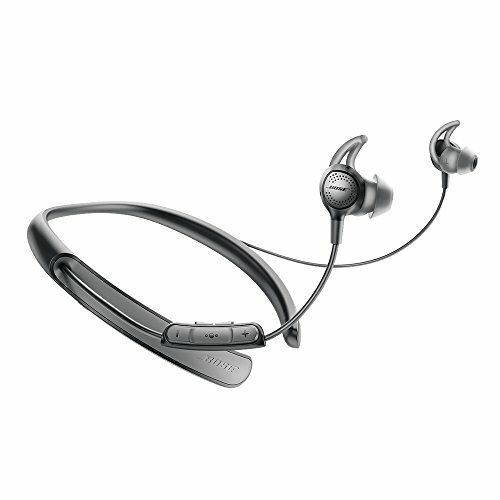 Let us introduce you to Plantronics BackBeat Pro 2 over-ear wireless headphone at $200. Plantronics BackBeat Pro 2 is considered a premium headphone model despite the bulky appearance mainly because it gives you excellent sound quality at a reasonable price. Besides that, it is loved by techies as they care more about the actual performance of a product rather than its appearance. We can definitely vouch for Plantronics BackBeat Pro 2 as it delivers amazing sounds quality, enhanced battery timing, decent noise-cancellation, and overall good value for your money. It also comes with a headphone pouch and can be used as a headset for calling. If you compare BackBeat Pro 2’s noise-canceling feature with Bose or Sennheiser, you’ll definitely feel the difference. It is bulky and the overall appearance isn’t quite impressive. With the newer Plantronics BackBeat Pro 2, the company has made some major changes. The product has been reduced by its weight as well as width. It looks more appealing and sounds quite good as well. For most users, it works flawlessly with minor hiccups. It is also quite comfortable and comes with touch sensors. Meaning, when you remove the headphones from your ears, the music automatically stops. You can use it as a headset as well, answering calls was never easier. Now you can simply put these on to answer all incoming calls. Although the noise-canceling isn’t something that you’ll want this headphone for, it is pretty decent. It muffles outside noises without the obvious hissing sound. Plantronics BackBeat Pro 2 is ideal if you work in a noisy environment and need some space for yourself. Another thing that you should know is that it is quite warm. So, if you are using it in a warmer area or on sunny days it will boil down your ears. Plantronics BackBeat Pro 2 is premium wireless, Bluetooth, a noise-canceling headphone that performs well with good battery life. The price is what we are down for, it is providing similar features as Bose, Sennheiser and Sony headphones at half the price. 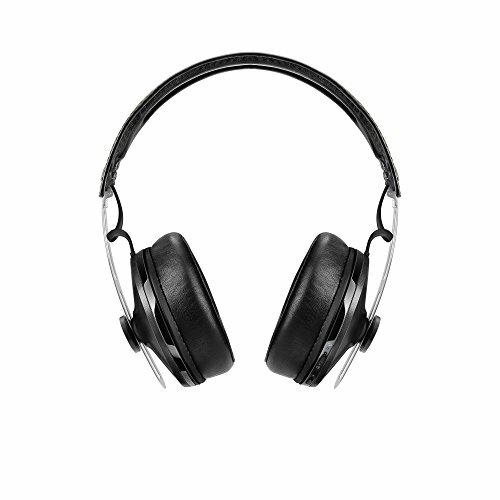 So, if noise-cancellation isn’t your main objective then we would suggest that you go for it. Sennheiser wireless headphones are generally known for their outstanding quality and originality. Recently Sennheiser came out with newer Momentums; on-ear and over-ear models including wireless and wired ones. We are talking about Momentum 2.0 Wireless, which is an over-ear headphone model. This wireless, Bluetooth headphone is excessively over-priced but besides that, it is a beast that will change your listening experience. Sennheiser Momentum 2.0 Wireless headphone is a no-brainer as it offers an amazing sound quality over Bluetooth connectivity as well as wire cord connection. It is a sturdy headphone that features some of the top options and can be folded into a compact size for easier traveling. It boasts dual microphones so you can use this headphone as a headset. Momentum Wireless also has active noise canceling which is exactly what you need for travels. Let’s face it, Momentum 2.0 wireless is expensive and to be honest, the pricing is quite up there. Another bummer for us is the inability to turn off noise-canceling, it will continue to work in the background once connected via Bluetooth. Sennheiser Momentum 2.0 Wireless is super comfortable to wear and it has a strong/sturdy built. Both designs, including on-ear and over-ear, have a similar folding design that makes it easier for users to carry the headphone. Ear-cup size for Momentum 2.0 has been increased so they fit better enhancing the audio experience. These cups also feel softer and more comfortable on the ear. Sennheiser wasn’t playing around when they developed this model as it used the top of the line 4.0 Bluetooth, active noise-canceling feature and tap-to-pair technology. Using this new pairing technology you can easily pair the headphone with any nearby Bluetooth devices that support aptX codec. Another cool feature about Momentum 2.0 Wireless is that you can actually use a cord for a better sound experience. All control buttons are located on the right ear-cup and using them is quite easy. The wireless range of this model is around 10 meters or 33 feet. It can work up to 22 hours which is quite impressive. You can also hear your voice while conversing with others so you aren’t screaming at the top of your lungs. Sennheiser Momentum 2.0 Wireless is an excellent choice when it comes to benefitting from all the top features. It comes with active noise-cancellation and has an overall impressive design. While it is pricey, they feature somewhat make up for the high price. The performance doubles when you attach the wire and listen to music in the wired mode. This one is a winner for us truly. Truth is, buying a $500 wireless headphone isn’t something that everyone can afford. 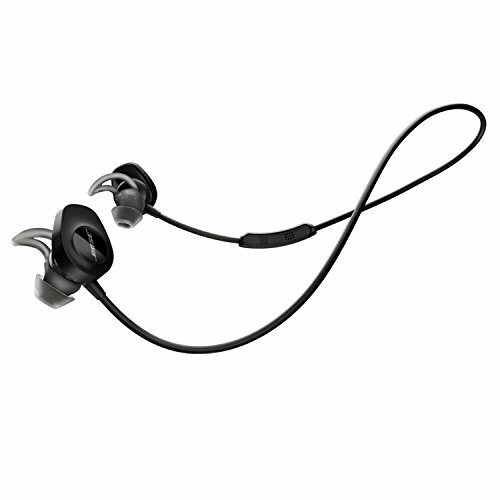 As Sennheiser is a brand known for its premium quality wireless headphones that can be used for travels, sports/running. We already know that $200 isn’t cheap either but if you compare them with other Bose, Sony and Sennheiser headphones you will say otherwise. Sennheiser HD 4.50 BTNC Wireless over-ear headphone is being compared to Bose because of the sound quality and performance. What is the best part? It’s the price, of course, Sennheiser is a name known for producing quality headphones and it isn’t different with this model. Sennheiser HD 4.50 BTNC Wireless is constantly compared to Bose QuietComfort 35 because of its similar design and exceptional sound quality. Noise-canceling feature on this one does a decent job and costs a lot lesser than the expensive models doing the same. For travels, these can fold and fit into a casing. The Bluetooth works well, you can pair and un-pair it several times and you will notice that it was simple and easy each time. You can operate the controls over right ear-cup without any difficulty. Let’s be real for a minute here, the matte black sturdy look isn’t bad. In fact, we love it. 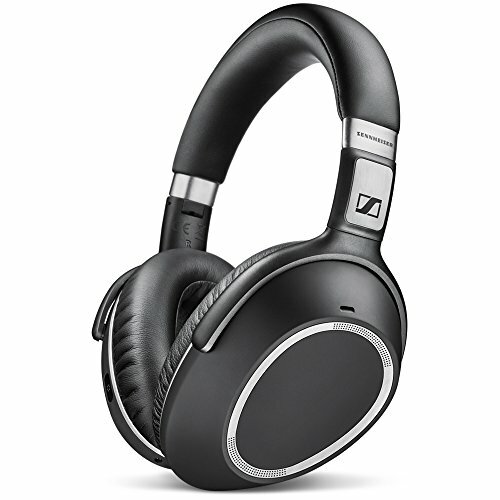 However, Sennheiser had to step down a little from the design aspect in order to fit into the price tag. It isn’t comfortable on the ear as other Sennheiser, Bose or Sony headphones. Sennheiser HD 4.50 BTNC Wireless is your premium Bluetooth, the noise-canceling headphone that will give you almost all features and quality at a much lower price. If you want better performance out of your HD 4.50 then you can simply attach your cable cord with it. The sound quality, performance, and battery timing will improve but nothing exceptional. Overall it is completely made of plastic, while the ear-cups have memory foam fit inside of them the faux leather covering these cups is what feels cheap and tacky. As it isn’t real leather, you can notice right of the back that it is not breathable. It won’t feel luxurious and it will most definitely make your ears warm. It does not come with a fancy casing either however it folds into a compact piece so you can put it in your bag or canvas. You might even feel the need of adjusting these for a little bit of air because these don’t allow air to pass through. They fit onto your ears just fine but they aren’t too snuggly. Moving onto noise-canceling, it isn’t something that you can compare to Bose QuiteControl 35 however, it does a nice job at muffling ambient noise with a slightly audible hiss. 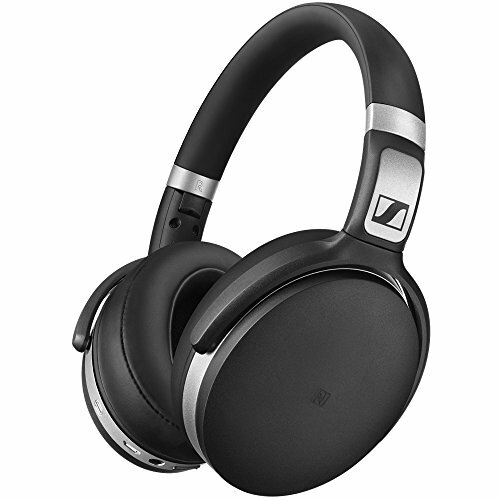 Sennheiser HD 4.50 BTNC Wireless comes with NFC (tap pair) technology. As far as the sound quality is concerned, it is pretty good for noise-canceling wireless, Bluetooth headphone. It might not be as good as Sennheiser’s more top of the line wireless headphones but it is amazing as compared to other headphones available in the market at this price. Beats Studio Wireless Headphones look almost identical to the 2013 version of Beats Studio Headphones. However, the newer rendition offers a lot more with just a difference of $80 more. Beats Studio Wireless Headphones offer Bluetooth connectivity and active noise canceling feature. Beats Studio Wireless Headphones are inspired by the original Studio headphones which weren’t much appreciated by audiophiles around the world. However, this one is more light and sturdy. The ear-cups on Beats Studio Wireless Headphones are softer which makes it more comfortable for the user. Beats Studio Wireless Headphones is amazing wireless, Bluetooth over the ear headphone that is comfortable to wear over a longer period of time and features active noise-canceling technology. It can fold into a compact version so it can be easier for travels and carry around. You can also use Beats Studio Wireless Headphones as a headset for making and receiving phone calls. These are priced a little too high we believe and the battery time isn’t that great either. If the battery dies, you can’t play music with a cord. You leave fingerprints on glossy Beats which can be annoying for many individuals as you may have to clean it often. If you continue to use Beats Studio Wireless Headphones you will realize that you enjoy the sound quality on these headphones. These come in 6 different colors and an option between glossy or matte. While these are price quite high, for that they are built with plastic. These don’t have visible screws on them. These might be a bit too expensive however the sound quality and noise-cancellation is what we are down for. Beats Studio Wireless Headphones is an excellent pair of headphones that you can use for travels and even sports/running. However, your decision comes down to your priorities. Are you willing to pay a premium amount for Beats while there are others such as Bose, Sony, and Sennheiser available at a similar price? We don’t think we need much explanation for Bose QuiteControl 30 in-ear wireless headphones, we all know it is a premium wireless headphone that everyone couches for. It is one its kind neckband style headphone. Bose QuiteControl 30 is designed specifically for controlling the ambient noise. It is a neckband headphone that is styled in a way that this band looks like a horseshoe donning the back of your neck. It is ideal for sports/running and can be used as an in-ear headphone. Bose QuiteControl 30 is built to cater a vast majority as most of us are health freaks and want to maintain our body. It is comfortable, controls the outside noise in more than one ways with the excellent sound quality considering it is a wireless, Bluetooth headphone. If you work out a lot or run then these are ideal for you since they are sweat resistant. It works well as a headset and can be used for other purposes. The noise-canceling feature in Bose QuiteControl 30 isn’t as effective as some other headphones from Bose. If you are planning to buy QC30 for travels, then you should know that you won’t be able to plug in into the airplane headphone jack. People usually think that they’ll get the same results with QC30 as they did with QC20 however that is where you are wrong. 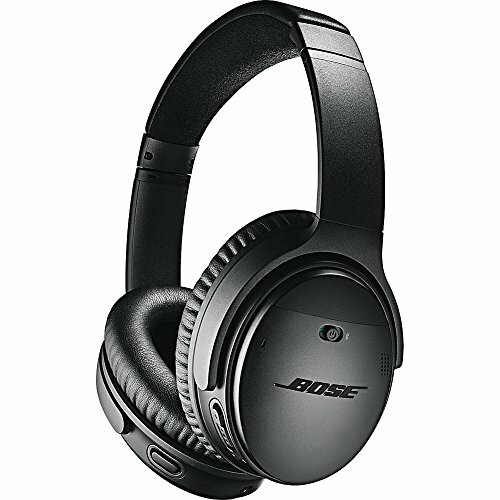 Bose QuietComfort 20 has class apart noise-canceling and if you expect QuiteControl 30 to be the same, you are not going to get it. QC 20 is probably Bose’s smallest headphone that has a powerful noise-canceling feature. QC 20 has the ability to block high frequencies such as airplane engines or traffic sounds. Noise-cancellation on QC 30 is good however it isn’t anything like QC 20. QC 20 is a wired version which obviously sounds way better than most headphones. The thing with QuiteControl 30 is that you can control noise-canceling in it, which is the entire purpose of it. you can adjust it to its fullest or turn it off completely using the Bose connect app or inline remote. Bose QuiteControl 30 works beautifully as an everyday use headphone that works well while working in an office or working out at a gym. As long as you don’t expect it to be QC20, you are good to go. However, the price is something that you need to consider before buying. There are other full headphones that you can purchase with this budget. Usually the ‘business class’ tends to follow the lead with Bose, however, Sennheiser is now coming up with new products that are giving all these established brands a run for their money. Sennheiser PXC 550 Wireless is the latest rendition in the Sennheiser family is a premium quality wireless on-ear Bluetooth headphone with all top of the line features. Sennheiser PXC 550 Wireless is a lightweight, comfortable, a wireless over-ear headphone that offers excellent sound quality with impressive features such as noise-canceling. Battery life on PCX 550 is the icing on the cake and you can use it as a headset as well. Price wise it is a little up there. The sound quality, compared to Sennheiser Momentum 2, isn’t as impressive. However, it is good for a Bluetooth wireless headphone. Sennheiser PXC 550 Wireless is coming out with excellent sound quality. You can customize the sound modes with the help of its capture app which is available on Android and Apple. It also has some impressive features such as touch control and 30 hours playback time which is something that we haven’t seen in any headphone yet. Although it is pricier than Bose and doesn’t sound as good as them, it still has a lot to offer. Sennheiser PXC 550 Wireless offers some mind-blowing features and they are more comfortable on the ears. We believe it is a good investment if you aren’t going with Bose. Bowers & Wilkins is known for producing high-end wireless headphones, however, with Bowers & Wilkins P7 Wireless over-ear headphone, they have completely changed the game. This model is competing with some of the premium headphones like Sennheiser PXC 550, Sennheiser Momentum Wireless, Bose QuietComfort 35 and Sony MDR-1000X. Bowers & Wilkins are known for their amazing designs and good quality. P7 Wireless is a new rendition that offers comfort, smooth wireless and Bluetooth operation with good sound quality. It has an over-ear headphone built that cancels out most of the ambient noises. P7 wireless comes with a trendy case, the battery life is good and you can use the headphone as a headset. You might notice that it is a little heavier and as you continue to wear it for a longer time, your ears get tired. 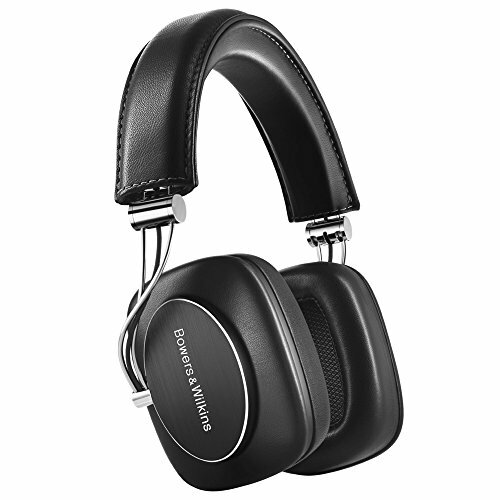 Bowers & Wilkins P7 Wireless feels, sounds and looks like a premium wireless headphone. Even the price is quite up there but if you are into some trendy designs and quality audio then this could be an investment. The model comes with a cord that you can plug in for an amplified audio experience. Bowers & Wilkins P7 Wireless is a near flawless headphone that you can use with and without wire. You’ll see a noticeable difference in the optimization and sound quality when wired. The design, however, is what we are in love with; if you are looking for a trendy headphone then this is it for you. Wireless Headphones are like an escape for most of us who are annoyed by the flapping of wires. If you have ever had the liberty of enjoying a premium wireless headphone you’d know how flawlessly the Bluetooth works and your audio experience changes for life. However, when you are out shopping, picking the right headphone according to your needs can be difficult. Research is important and before you head out it is essential that you ask yourself a couple of questions. What do I need a pair of wireless headphones? Why wireless headphones, you may ask. Wireless headphones use the Bluetooth technology to connect the two devices with each other and enjoy a nearly flawless hiccup-free audio experience. Pairing technology allows the two devices to sync so no one else could interfere to listen to it. Many of us don’t know this but Bluetooth doesn’t eat a lot of your product’s battery when not being used, even if it’s turned on. Some premium wireless headphones even offer low-energy Bluetooth, when the pairing technology runs in them without using too much battery. The purpose behind this is to ensure zero hiccups when the audio is played. This is the reason why some wireless headphones have a sleeping time of months. If you see the RF wireless headphones then we would suggest that you stay away from it as it is a dying breed and you wouldn’t make much use of it. Go for the Bluetooth ones as they are more easily paired with almost all electronics. These come in a variety of styles and variations including on-ear, over-ear, in-ear for travels, sport/running etc. Some premium headphones offer noise-cancellation which is great when it comes to working in a noisy area or walking the bustling streets. These are also loved by travelers so they can avoid the constant noise at airports. This is an ever-going debate that will probably never end. We won’t get into the specifics of this battle, however, we do believe headphones are a better option as compared to earphones. They are definitely more comfortable and their sound quality is excellent. They also offer noise-canceling which is a plus point for us since we enjoy working in peace. Most wireless headphones either work on disposable batteries or the standard rechargeable ones that are built into the product. Most wireless headphones work on the Bluetooth technology and they usually have a battery time of 8 to 12 hours. You should look out for something that provides you with this time frame at least. Some of the high-end wireless headphones offer these while others such as Sony DR-BTN200 exceeds it with 40 hours. Truth is that all headphones are tested under a controlled environment so these change in real life situations. Another thing to know is that your music’s volume will affect your battery consumption. Headphone batteries are charged with a USB cable and takes around 3 hours to completely charge. Noise-cancellation is another feature that most users look in a wireless headphone. Active noise-canceling in headphones is all the rage right now. People prefer enjoying their audio without ambient noise. Noise-canceling wireless headphones allow the users to relax and muffle the outside noise. These are loved by people who travel a lot or enjoy peaceful workouts. Now, these don’t work perfectly on every device so you need to be careful while purchasing. Bose, Sony, and Sennheiser are some of the most premium headphone manufacturing companies out there that provide top of the line noise-canceling feature. These can muffle all sounds including, traffic and airplane engines. High-end noise-canceling headphones also offer different modes so you can adjust the ambient noise. What about Completely Wire Free? Even the most sought-after wireless headphones have some sort of strings attaching them. One such example is the ear-bud models where the two are joined with a common wire. A true/completely wire-free ear-bud means that there are two different units for each ear without a wire connecting them, Apple ear-pods for instance. It is important that you set a budget first and then start looking at the options. Knowing how much you can afford will set your priorities straight and you would be able to cut down your options. Another misperception that most people have is that the higher the price tag, they’ll get better quality. However, that isn’t the case some high-end wireless headphones don’t perform nearly as good as the cheaper ones. So, you need to research before buying. Sometimes you find better alternatives at reasonable prices. Why buy Premium Wireless Headphones? Not many people talk about this but we believe that it is better to buy a premium quality wireless headphone than compromising on certain aspects. For instance, noise-canceling and flawless Bluetooth operation is something that we require in a wireless headphone whether it is an over-ear design or on-ear. People who buy headphones for travels or sports/running, look for similar features as well. Another thing that premium headphones offer is a luxurious feel. You will notice the difference between faux leather plastic headphone and real leather with metal headphone. In the end, it all comes down to priorities going for the product that meet your requirements.